Happy Wedding Wednesday! 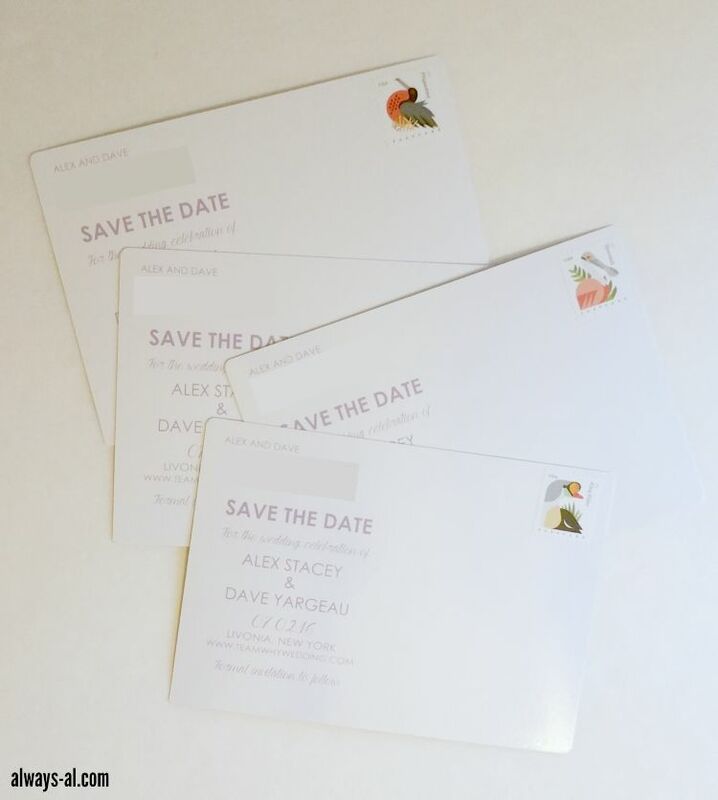 Now that almost everyone has received them, I'm so excited to share our save the dates! My dad and I designed these together, and I am so proud of them. We probably sent about 100 emails back and forth discussing what exactly the color lavender is, and why I want a script font. In the end this is a perfect compromise of what I want as a bride, what Dave wants as the groom, and what my parents think people need to have to get the information that they need. I am so happy with them, and it makes me so, so happy when people have been texting me saying that they have been getting them. This thing is real, y'all! We decided to send out our save the dates a little bit earlier than normal because our wedding falls on a holiday weekend. I've already had a little bit of trouble making some hotel reservations in that area, so I want to give people as much notice as possible to book travel and accomodations if necessary. I think that with the holiday weekend we will either see many more people RSVP yes, or a lot fewer. We will have to see. 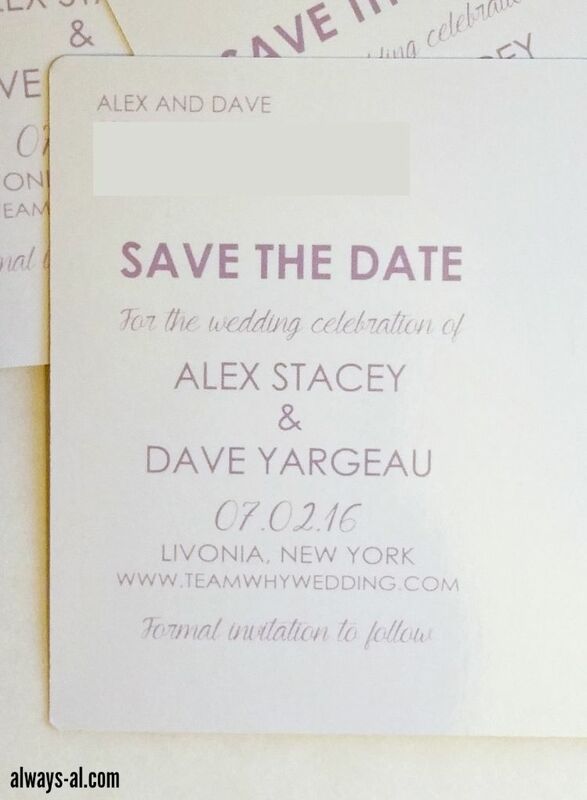 Did you send out a save the date when you got married? Do you plan to when you get married in the future? 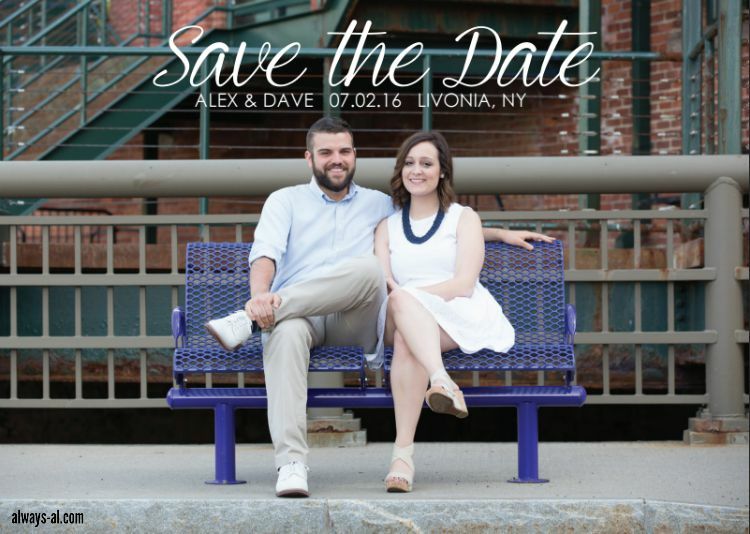 Do you like to get save the dates for weddings?